The Stamina Tilt Chair meets the needs of the eye care professional who demands the very best in comfort, style, functionality and durability. The footprint is small, yet offers a generous seat width to comfortably accommodate your patients. Armrests can be rotated upward for ease of access. The patient can be tilted backward and raised effortlessly. 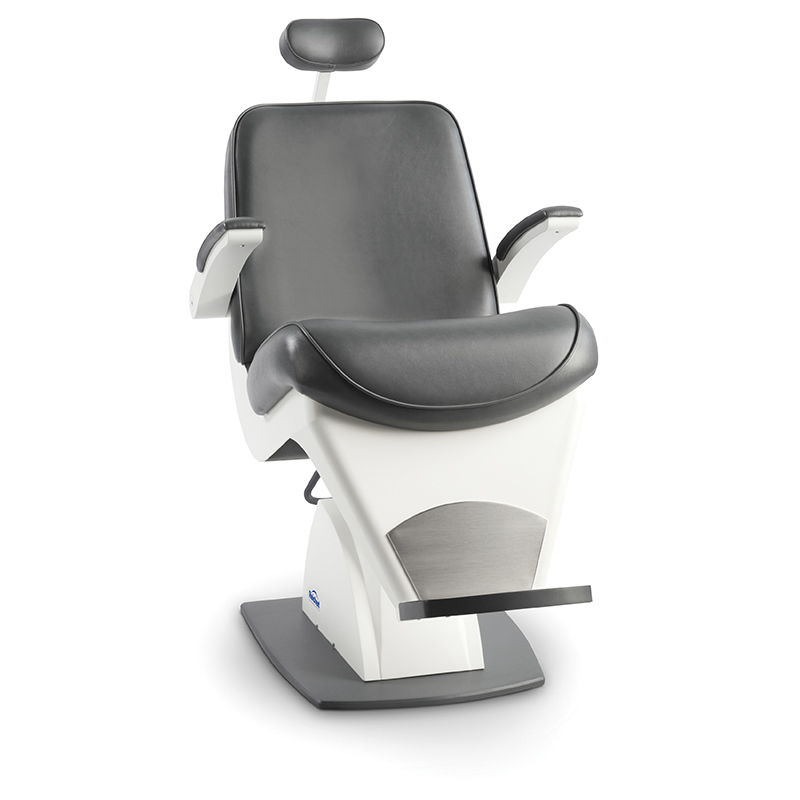 A large, positive locking headrest supports the patient when tilted. The industrial strength, Swiss designed linear actuator quietly and efficiently raises and lowers the chair, requiring no maintenance and presenting no risk of fluid leaks. Not for sale in the EU. Not CE marked. Chair elevation control with the footswitch, from the stand console, or from the lower instrument arm. Lifting Column Stroke: 11.8 in. Strong, slim, and stylish instrument to complement your Stamina™ Tilt Chair.